I am having an issue disconnecting the autopilot once it has been engaged with the selector on the MCP. Reading the manuals the disconnect used to be on the control wheel but has now moved to the MCP. Once the a/p has been engaged and the green light is illuminated on the selector switch pressing the switch again doesn't disconnect. The only way I can disconnect the autopilot is to operate the pitch trim, but then you cannot silence the warning horn and flashing annunciator. 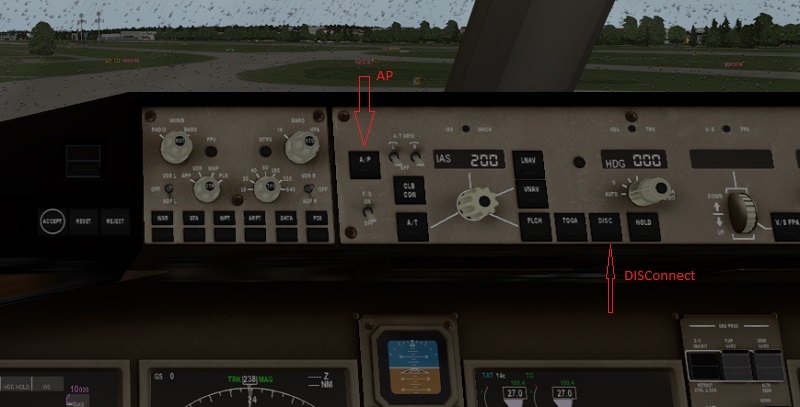 The Autopilot disconnect button is on the AP Panel (DISC). And it works (twice klicking).